Drunk driving accidents have gone down by 30% in the last few decades; however, it still remains a problem. Driving under the influence occurred about 112 million times in 2010 alone. Aside from driving texting exes, attempting dares, and operating equipment are equally as dumb and dangerous. But, alas, we all enjoy a good beverage (or two..), especially when it’s out of an interesting flask. 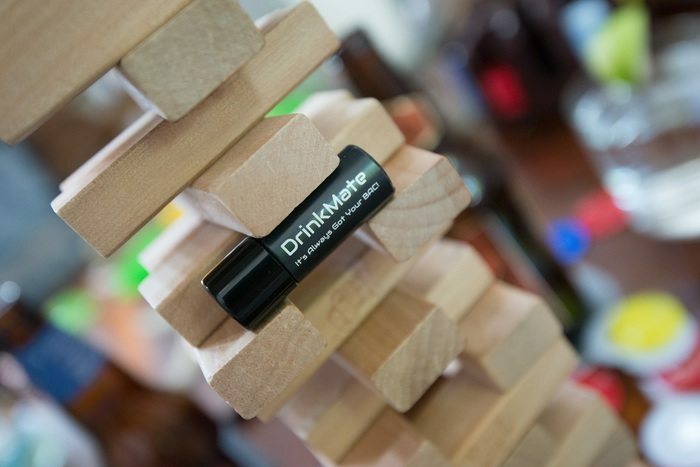 The makers of DrinkMate want you to “be safe and make the right decisions” with their innovative and compact breathalyzer. BAC stands for blood alcohol content. It reveals how much alcohol is in your blood and, essentially, how drunk you are. A BAC of 0.0 means the person is completely sober and the driving limit in the USA is a BAC of 0.08. With drunk driving being so prevalent, having an instant objective result of your ability to drive (or text your ex) can be lifesaving. 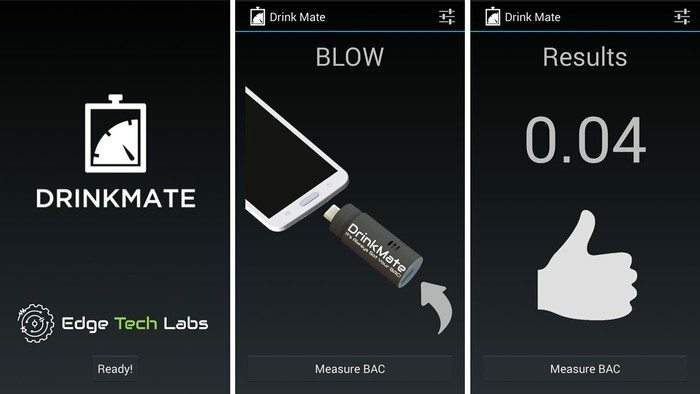 DrinkMate could contribute less to seeing who’s the drunkest and instead be used as a much needed tool. The designers of DrinkMate, Shaun Masavage and Mack Redding, have built a compact yet powerful breathalyzer from scratch; they didn’t model theirs on existing designs. This means that they could approach the product with every detail it needed and, in doing so, have still created the smallest breathalyzer in the world. 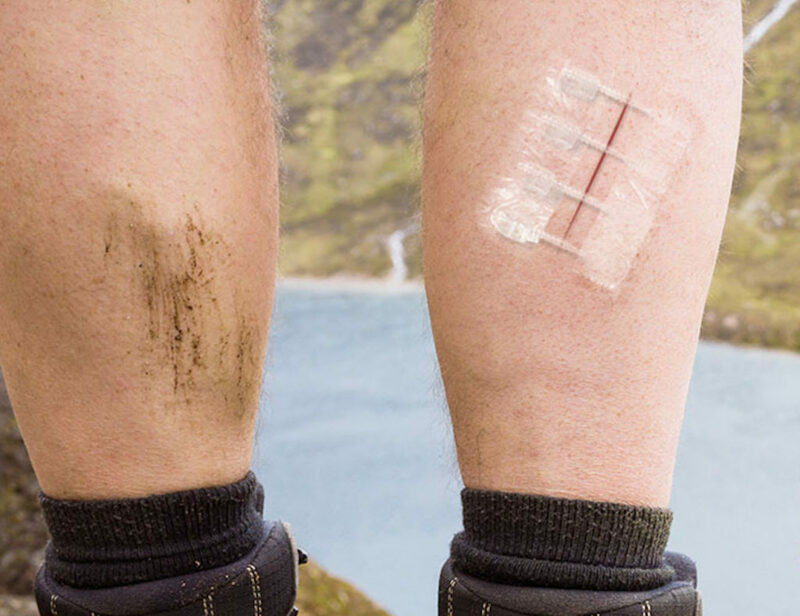 DrinkMate has a low cost yet advanced stability semiconductor-based sensor and it’ll get you results within .01%. The sensor’s limit is .20%, but, as the creators explain, if you’re past .20% then you would be beyond needing a breathalyzer. The device was tested against Lifeloc Technologies- a frontrunner in the breathalyzer testing and calibration field. DrinkMate is only 1.8 inches long and .62 inches in diameter, which is smaller than a battery (and the world’s smallest phone charger! ), with a weight of just .2 ounces. DrinkMate’s greatest feature is that it’s so easy to use. 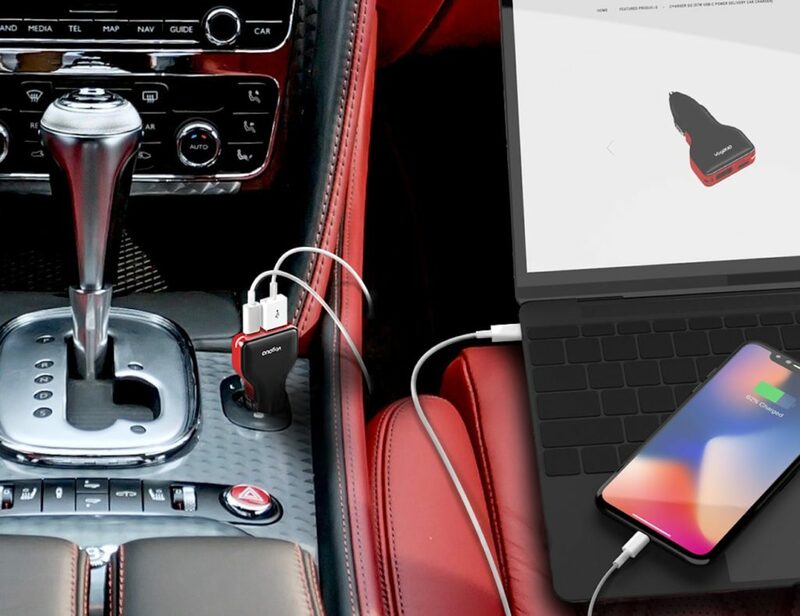 The device connects to the micro-USB port of your Android phone (such as the Galaxy S3, S4, and S5 as well as Note 3 and Nexus 7) and is powered by the phone which means no battery. 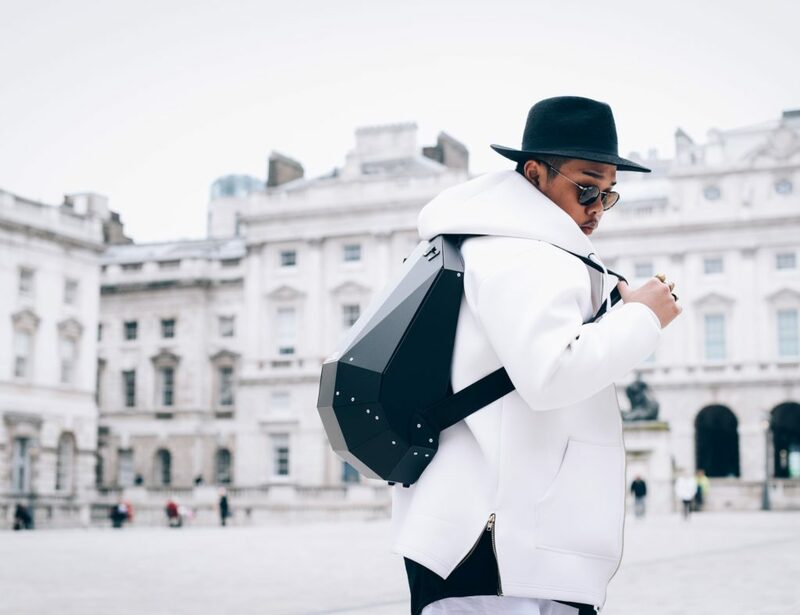 After being connected to your phone, it’ll take about seven seconds to warm up and three seconds to stabalise. Fifteen to twenty minutes after the last beverage, the user will blow into the sensor for four seconds, being as close as possible without touching it with their lips, and the data is sent to the app. Within a second, you’ll have your results. Users should wait ten seconds between tests to allow the sensor to be free of alcohol from the previous test, although, you’ll be notified through the app if it hasn’t properly reset itself. Ideally, the device would be disconnected and reconnected to the phone between tests. DrinkMate works unlike other breathalyzers in that it doesn’t need to be calibrated. With new (and extremely researched) technology, DrinkMate has an age factor to determine how broken in your device is. 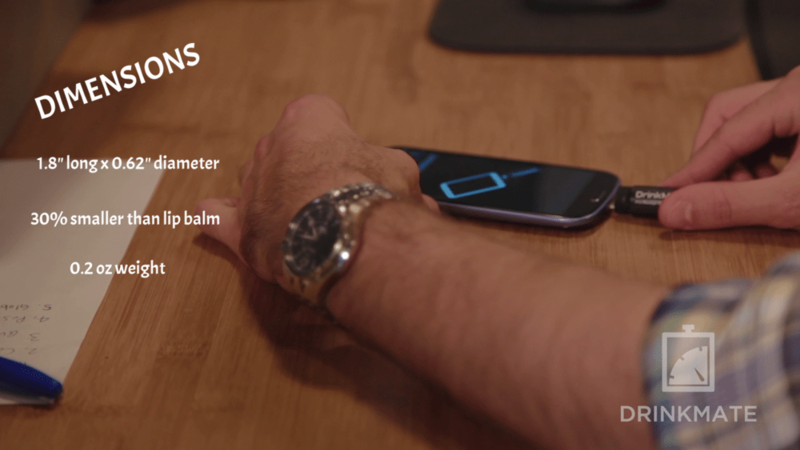 This way, DrinkMate will recalibrate itself according to how often you use it and the sensor never goes bad. DrinkMate should retain its ability for accuracy for at least a year. Additionally, the DrinkMate app can be customised for units for BAC as many countries are not the same. DrinkMate’s design allows you to keep your favorite case on while using the device, but it’s recommended you test it with the case first. 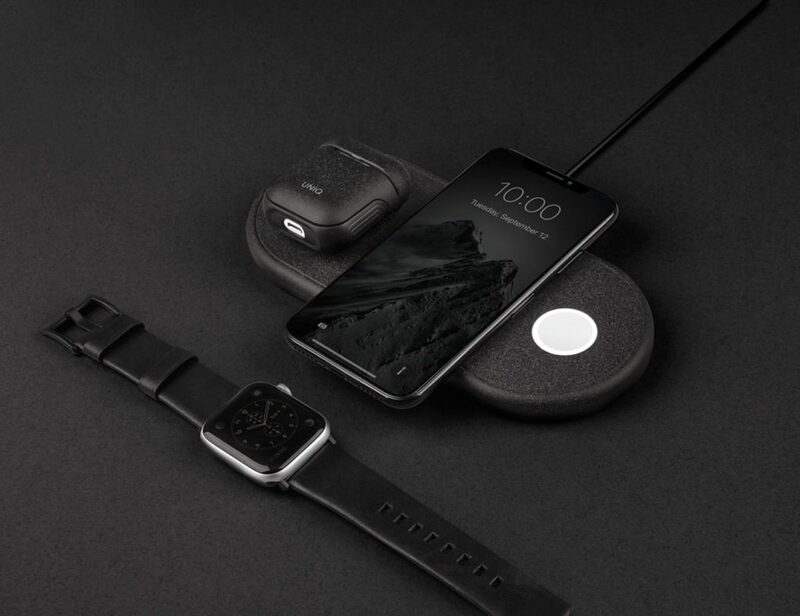 Although the device is only made for Android, and that may seem like a drawback, the monetary push on Kickstarter may be the desire of iPhone and Windows phone users looking to get in on the action. The creators are hoping to also create Windows and iPhone versions of the app to be compatible as well, but they want to perfect everything with Android first (and raise a little more dough). 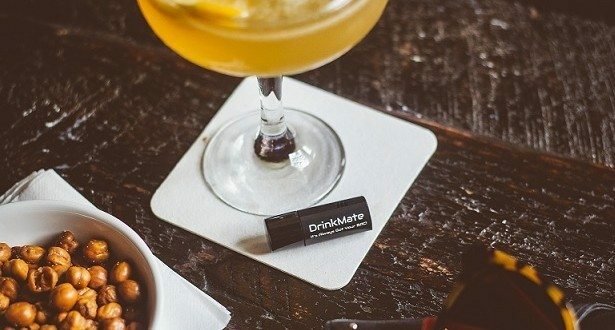 DrinkMate will begin production in November using their Kickstarter money for tools. Their ship date is set to December 1st. DrinkMate is on Kickstarter with a goal of $40,000 by September 25th. Very fortunately, they’ve currently raised an amazing $84,631. Donations can be made from $5 to $3,000 which includes flying out to meet the team and see their process (along with a DrinkMate). While a price isn’t currently indicated, a DrinkMate gift is awarded to donations of $22 or more.